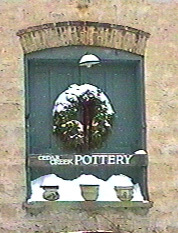 Home / Pottery News / Holiday Hours Extended! The holidays are upon us! With Chanukah starting next week and Christmas right around the corner, we are gearing up to keep our doors open LATER so you can get those last few names crossed off your list! Starting Monday, December 15, we will be open 10am-8pm everyday before Christmas Eve. Plus Friday, December 19th is our last Festive Friday of the year, which means we’re open until 9pm! That’s 27 extra hours to shop! WOW! Of course, you can shop online anytime!